I had the idea of creating “virtual graffiti” as a response to what I see around me every day. 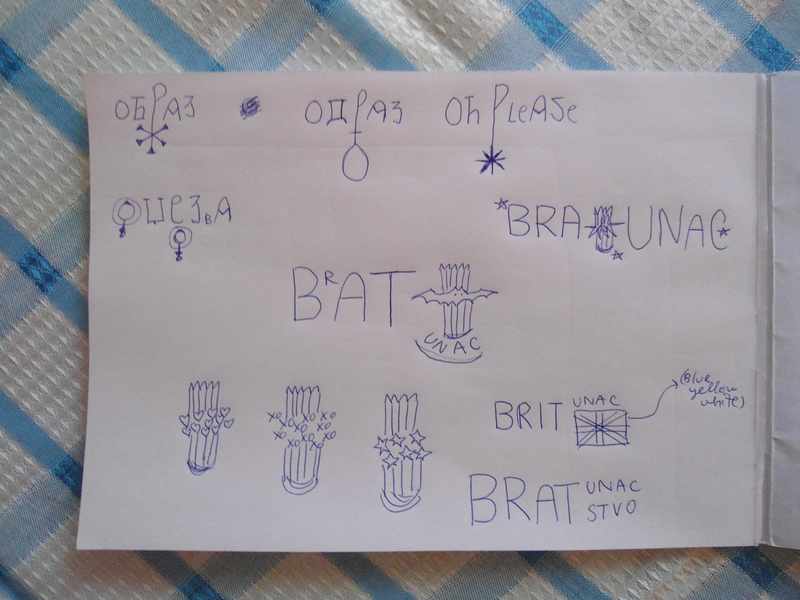 These silly sketches are another way for me to express my personal reaction to Bratunac life. Today I wanted to show you what my brainstorming looked like… Tomorrow I’ll show you the graffiti!